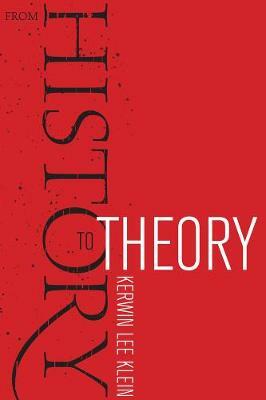 From History to Theory describes major changes in the conceptual language of the humanities, particularly in the discourse of history. In seven beautifully written, closely related essays, Kerwin Lee Klein traces the development of academic vocabularies through the dynamically shifting cultural, political, and linguistic landscapes of the twentieth century. He considers the rise and fall of "philosophy of history" and discusses past attempts to imbue historical discourse with scientific precision. He explores the development of the "meta-narrative" and the post-Marxist view of history and shows how the present resurgence of old words--such as "memory"--in new contexts is providing a way to address marginalized peoples. In analyzing linguistic changes in the North American academy, From History to Theory innovatively ties semantic shifts in academic discourse to key trends in American society, culture, and politics.